Last year I worked on a food photography project with a magazine; unfortunately, the magazine closed it's doors and the project was never published. However, I met two lovely ladies from the project - Myriem & Estelle. A few weeks ago I ran into Estelle at one of my favorite coffee shops - Philter Coffee, located in Kennett Square, PA. We briefly caught up and I mentioned how I've been trying to photograph more food/lifestyle events. She told me she was holding a chocolate + wine pairing event and I was more than welcome to attend/photograph the event! I couldn't wait. The chocolate + wine pairing was held at Galer Estate Vineyard & Winery located in Kennett Square, PA. 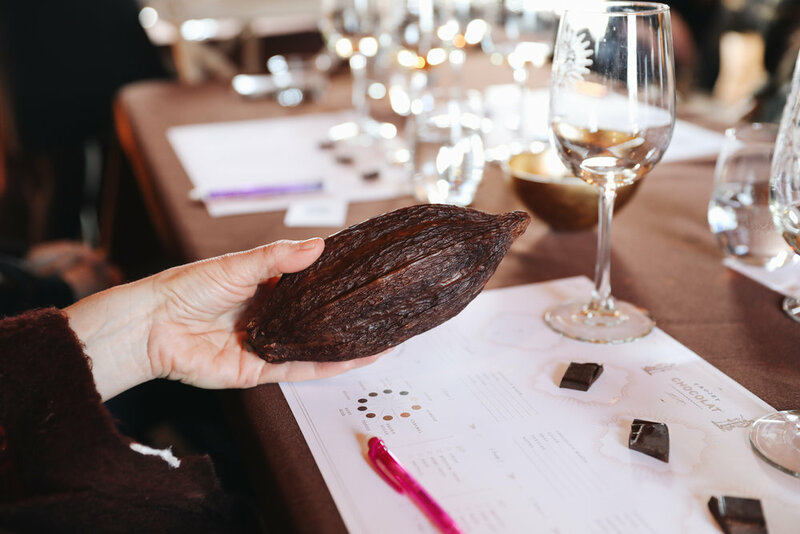 I personally had never been to a wine tasting OR a chocolate tasting before, so I was pretty excited to try something different. Estelle & Virginia (Winemaker and Winery Manager at Galer) did a wonderful job pairing the chocolates and wines together. The event was relaxed and I had a great time meeting everyone who attended. My favorite pairing was surprisingly a 100% cacao chocolate, Akesson Madagascar 100%, paired with Galer's double gold award winning Cabernet Franc. Be sure to check out Estelle's website and follow her on social media! She is very knowledgeable about chocolate and I can't say enough nice things about her. Thank you again for a wonderful afternoon!